A truly delicious, on-the-go snack. 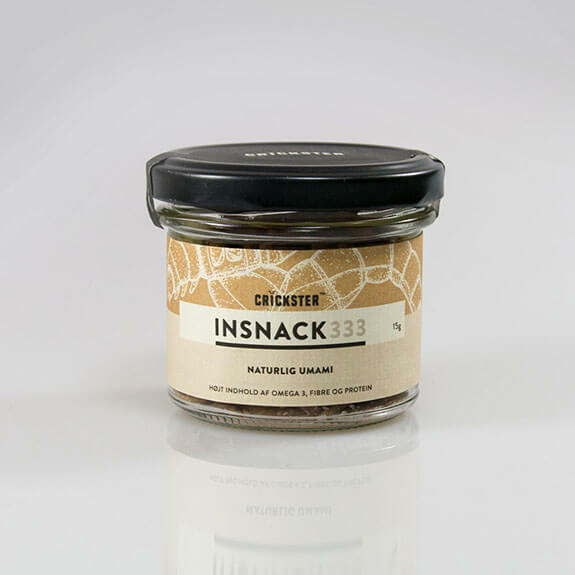 Insnack333 – Umami is Crickster’s delicious snack made with premium mealworms, salt, rapeseed oil and nothing else! 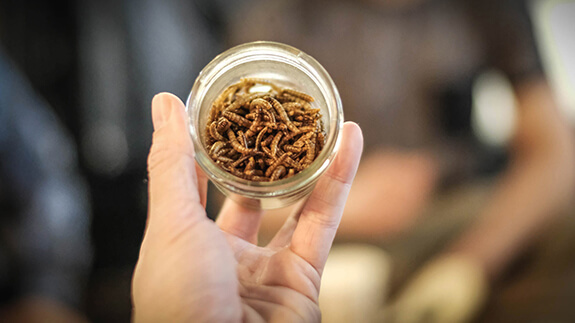 Curious about the taste of mealworms? Surprise your taste buds with pure pleasure. Our Natural Umami snacks are the perfect way to discover how crunchy roasted mealworms taste naturally. 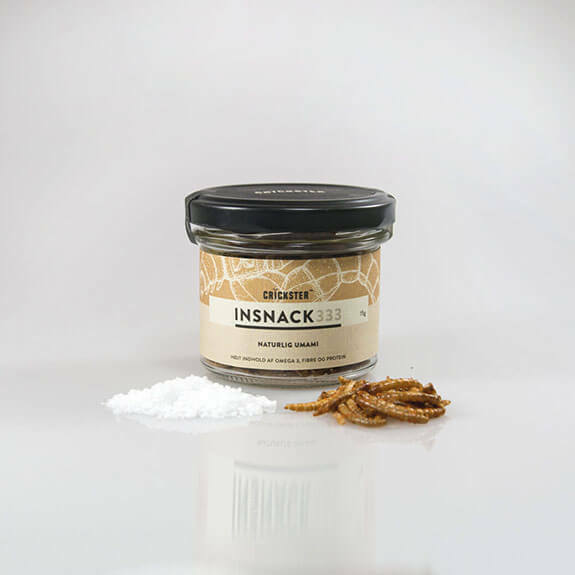 Roasted Mealworms are having a mild-savory (umami) taste that really shines through when salt is added– creating a delicious taste balance. "How do I eat them?" It's simple. 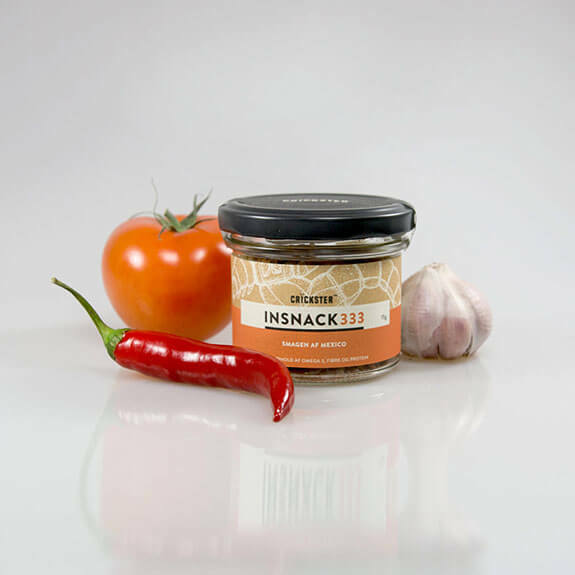 just open the jar and enjoy! 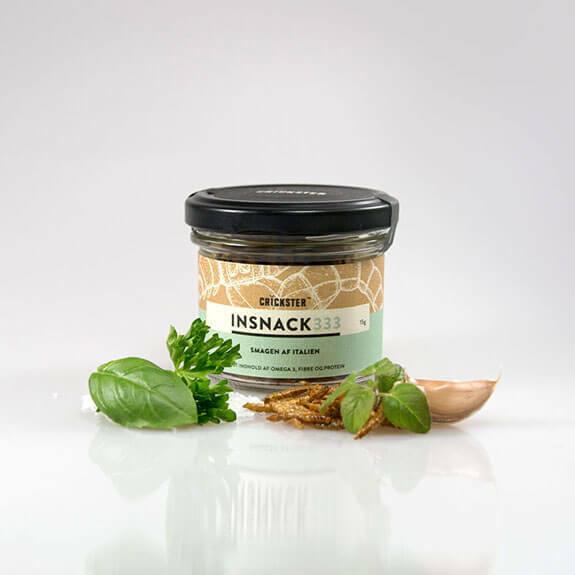 Our natural umami insect snacks are ready-to-eat. But, that's not the only way to consume them. You can also use them as a topping to add some crisp to your puree or sandwich. Your imagination is the only limitation. 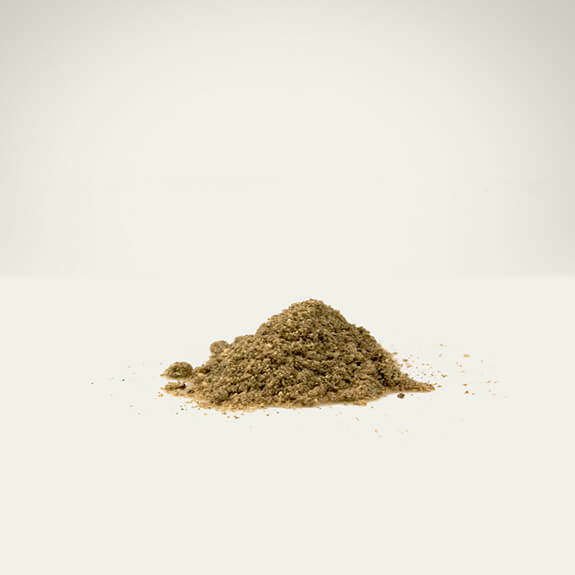 Mealworms are naturally rich in nutrients. They contain many vitamins, minerals, healthy fats and essential amino acids that help our bodies function properly. 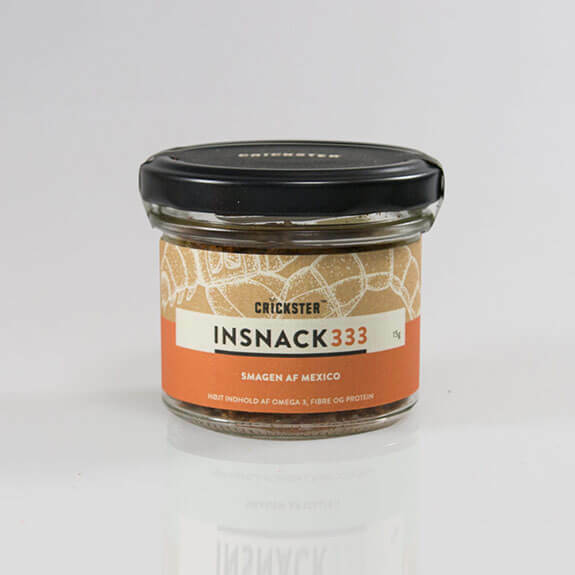 Eating as little as 15 g of roasted mealworms (One jar) may satisfy your daily demand for Omega3. What's more, our insnacks are a true protein bomb. They contain 44 g of protein and all essential amino acids. When it comes to vitamins and minerals, mealworms are a great source of B12, B5, copper and potassium. The coolest part is the fact that mealworms require less resources to thrive. They require up to 20 times less feed and water than conventional livestock animals like cows and pigs. This is due to fact that insects are cold blooded. Therefore, they don't waste energy warming up their bodies. 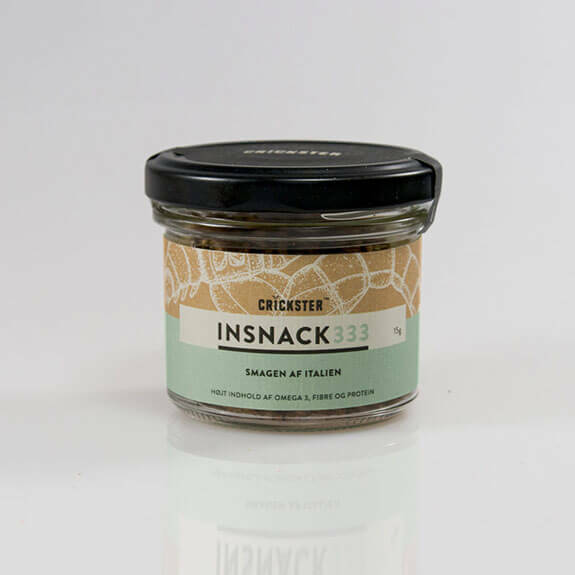 In Crickster, we produce all our insects snacks by hand! 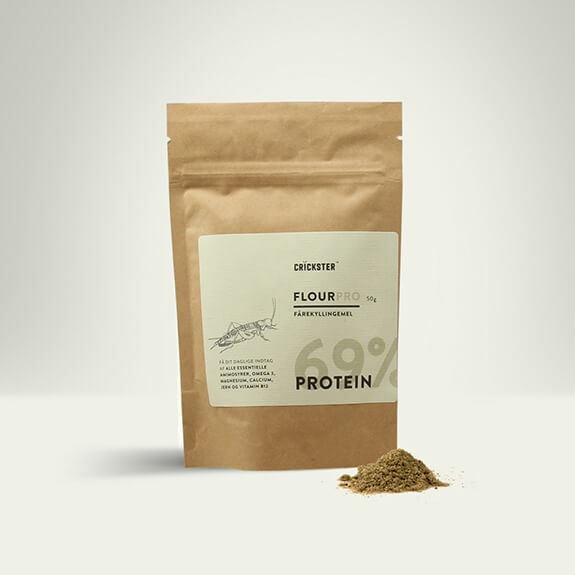 Mealworms contain a high amount of protein, fiber and omega 3. The product may therefore be used as a supplement to increase your daily intake of essential nutrients. You can also use it as a guilt-free snack to share with your friends and family. Place your order now and give your best friend a crunchy and delicious birthday present.